Paralympic fever. Bring. It. On. Thanks to a man called Neville with a red mohican and shoulders like an ox, I am bursting with excitement about the start of the Paralympics. I’ll admit it: I wasn’t just bereft when the Olympics ended, I wandered round in a dull-eyed daze for days. And nothing could have been calculated to make me realise just what we’d be missing more than the sight of those wraith-like supermodels, and all they represent, at the closing ceremony. Bring back the strong, gleaming bodies of our Mo Farahs and our Jessica Ennis-es. Their graft, their determination, their bloody-minded I-am-going-to-do-this-if-it-kills-me exultant spirit. Enter Neville, who I met last week. He narrowly missed out on a place in the GB murderball squad, or wheelchair rugby as they call it now. Apparently some felt “murderball” wasn’t very PC but after watching it being played – all smashing, crashing, high speed collisions and trying to flip your opponent’s chariot over so he ends up upside down like a turtle, I’d say the old name gives you a better idea of what this game’s like to watch. After seeing the glint in Neville’s eyes I can tell you I was pretty glad that he put me on his team when he let me have a go. Wouldn’t have liked him as an opponent. Can’t wait to see more – adrenalin, guts, the fire of wanting to WIN – this is a SPORT. I accidentally typed “wanting to WINE” there which I think is a sign it’s time to move on. So. Wine. 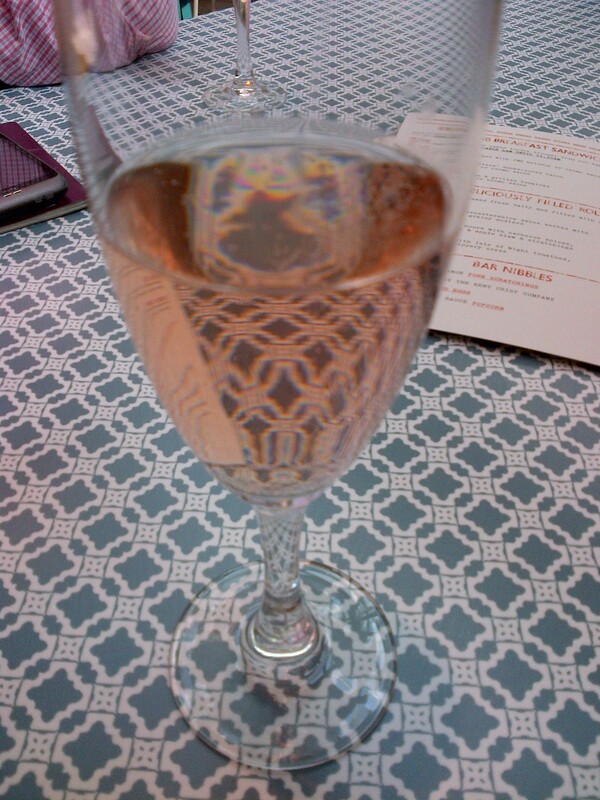 That’s a glass of sparkling Chapel Down English Rose NV which I drank at one of Jamie Oliver’s Union Jacks restaurants. It is here because I will be celebrating the opening of the Paralympics, this week with – what else? – fizzy English wine. There’s a lot of good stuff to choose from and fizz seems appropriate. Top of my list at the moment: Coates & Seely (their blanc de blancs and their rose-ay are both good), Nyetimber Classic Cuvee 2007 (super-smart and super-classy), Chapel Down Brut Sparkling Rosé NV and Camel Valley Pinot Noir Rose Brut 2010. Partly for reasons of availability (the Chapel Down English sparkling rose is showing up as out of stock on the M&S website) compared to some of those other names, partly for reasons of it costing a fiver less than the 2007 (which is £29.99 in Waitrose), my pick for the spot in the top right corner is the Nyetimber Classic Cuvee 2004 (12%, £24.99, Majestic). It’s made from champagne grapes and as you’d expect with those extra three years on it, it’s fuller and more bready than the 2007. Yummy, however you look at it. The Olympics is dead. Long live the Paralympics. How do you make it stop again? My wheelchair control was not up to scratch. 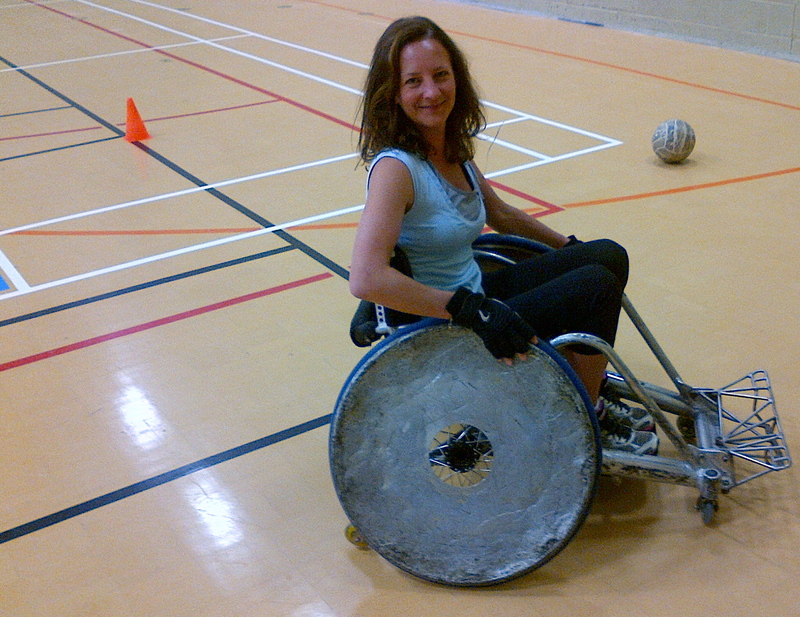 Resting after having a go at murderball.